Are you using facebook? here is alert for you, today panda security posted about this virus which is spreading in facebook through a Video. You may also get this video, before that see this post to protect yourself from it. The virus name is called Monder.BL a Trojan family virus which steals the information from the affected computer and send it to the creator of the virus without knowing the owner of the PC. This virus is first detected on July 17, 2010 and today they have posted clear information about that virus. Monder.BL is the virus name which is spreading through the one video in facebook. This virus is designed to steal the user information on the affected computer by establishing a connections with certain websites. It’s not only stealing your information from your PC, it also modifying your Internet Explorer browser configuration which could affect the security while users are browsing. Monder.BL reaching the user computer via social networks like Facebook, or instant messaging programs in a link to the download site of the Trojan. When one user affected with this virus, automatically his status is updated with the Link providing to download a video without knowing or taking permission from users. We can easily identify this virus because the link which is updated is starts from the word Video (see below image). 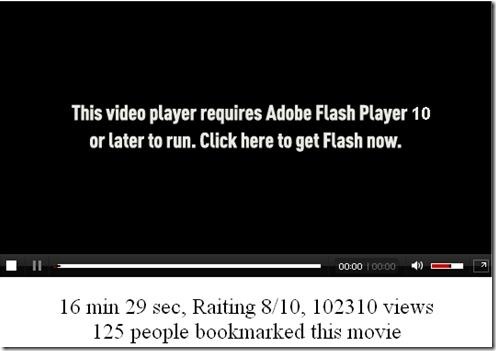 If a new user followed that virus/video link, then he will see a false message saying this video requires Adobe Flash Player and they provide a link to download it. When an user download a Flash Player from that link, it comes with Monder.BL virus because the flash is downloading with the unofficial source. See they have given the same name as seen in official adobe download page, but the download source is different. When user download and saves that infected flash player in their compute and installed it on their pc, then virus start working. In this way a new video virus is spreading in facebook. Be careful about this type of links and videos in social networking sites. If you have already affected with this virus then use some good antivirus to remove it, and make sure you have changed your passwords of email accounts. Yesterday I heard about Monder.BL.Thanks for sharing.